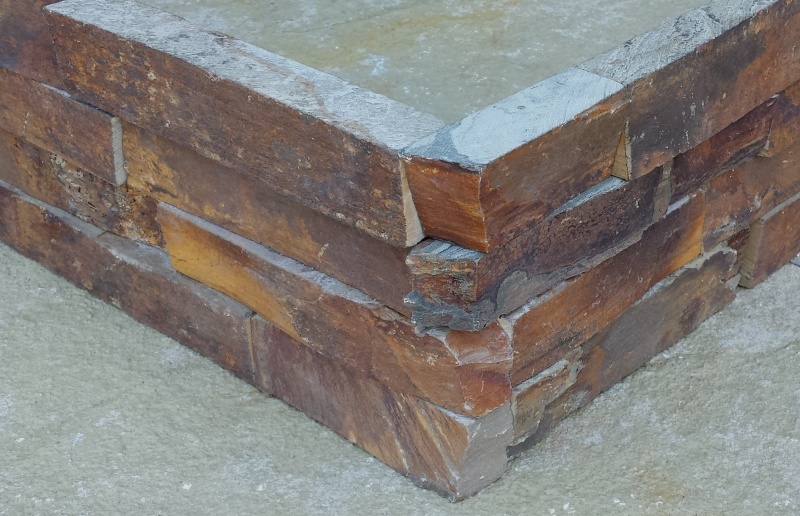 Corners for stone veneer are made from a special ledge panel designed for cutting into two pieces. A notch at either end of the panel provides a technique for making corners that look natural and blend in with the wall. We also stock a panel of a different shape used to make a full finished end where stone comes to an abrupt end on a flat wall without exposing cut ends. Solarstone offers you the best price because we do not charge extra for these special profiles of natural ledge stone veneer panels. The steps below illustrated how to make corners. 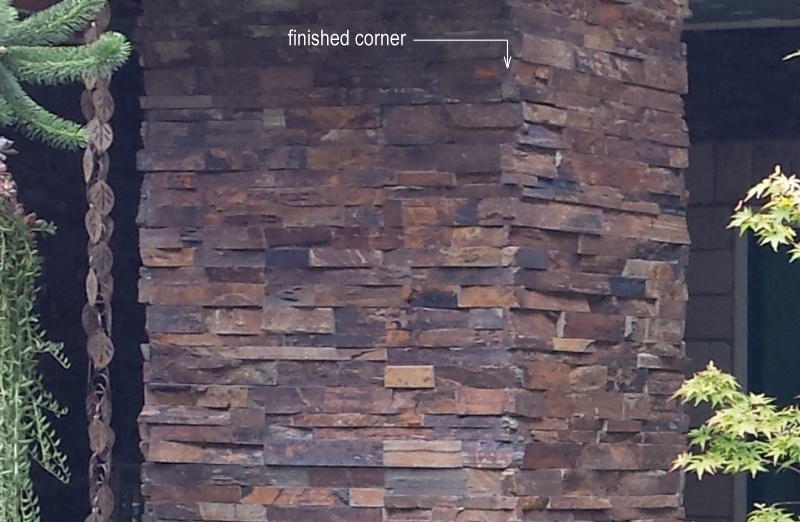 Step 1: Identify a corner panel by the notched ends. 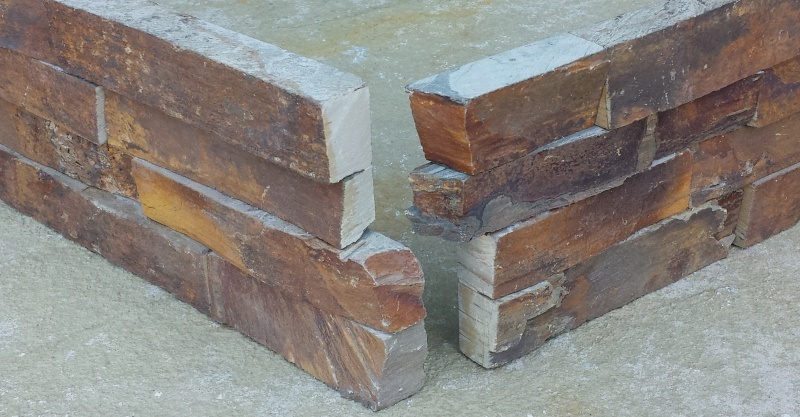 Half of the notch is sawn and the other half has natural end edges. Step 2: Notice that opposite ends of the panel are mirror images of each other. Step 3: Install standard panels along the width of a wall until you have less than two feet remaining before reaching the corner. Cut the corner panel to the necessary length required to finish the row. Step 4: The remaining piece of the panel is used to make the opposing corner. Test fit the two pieces that make the corner. Step 5: Mortar the pieces to the wall. Use a mason's sponge to remove excess thinset mortar. The corner of this finished column is nearly invisible and looks natural.